Little Havana is truly a vibrant place with a strong cultural and political identity. Moving to Little Havana will mean that you might encounter a way of life you haven’t seen before, and it is good to be familiar with what awaits you. So, be it that you are considering it or already have your heart set, here is information that will benefit you when you move to Little Havana! History and today- what made Little Havana thing it is now? Miami neighborhood of Little Havana came to be during the 1960s as Cuban refugees settled there in large numbers while escaping the rule of Castro in Cuba. As the number of immigrants rose, look and feel of this area of Miami located just west of downtown Miami changed to represent its new inhabitants. Even though many didn’t expect to stay there, as it became clear that this will be their permanent residence, Cubans worked hard to make it feel like home. From its colorful buildings, wild festivals and delicious meals come the name that sets this place to be the shining example of Cuban culture: Little Havana (after Havana, the capital city of Cuba). If you fulfill your wish get moving to Little Havana, you will have around 49 000 neighbors comprising about 11 000 families. There are a lot of churches, most of them being Catholic (such as St. John Bosco, St. Michael the Archangel, St. Raymond of Peñafort, etc). 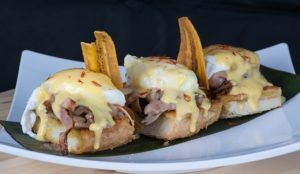 Havana is practically full to the brim with restaurants with the most amazing and delicious specialties of not just Cuban culture, but also Nicaraguan and other Central American newcomers that are making their own impact on local cuisine. This means that you can always go for dinner outside quite often and always have something new to discover. 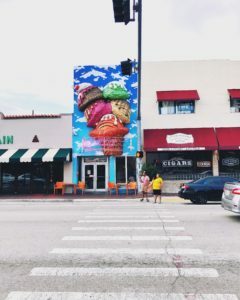 Many restaurants and cafeterias have interesting and unique themes which make each visit special and they are quintessential for Miami lifestyle. If you love culinary tours, Little Havana will oblige. Aside from that, there is active nightlife in Little Havana you can enjoy if you are (or feel) young. Naturally, good music is around every corner. There are seven theaters, two memorials, few libraries, and cultural institutions as well as and numerous parks which host all kinds of events, including fairs and festivals. 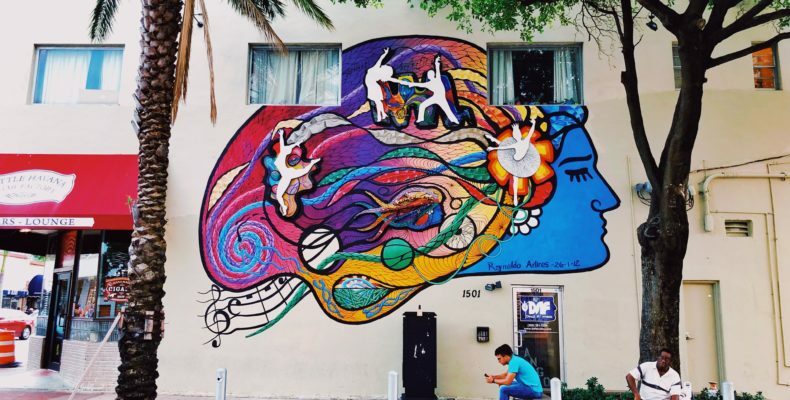 If you are looking for hottest neighborhoods in Miami to settle down, a rich, vibrant and everchanging culture will make sure that moving to Little Havana is the right choice. History of Calle Ocho festival (taking part in Máximo Gómez Park, also known as Domino Park) has its roots 1977. While Miami was for a long time a mix of many different ethnic minorities, they haven’t always had the best of relationships between them. Festival came to be as a way to eliminate this friction. It was the idea of Eight Cuban-Americans, mainly from the Kiwanis of Little Havana. While the first idea of a bicycle race never made it to fruition, the festival soon became a defining feature of Little Havana it is today. Actually, in 2010 Florida recognized it to be an official state festival. Festival itself is part of a larger, Carnaval Miami celebration – one of the largest in the world. Calle Ocho itself host around one million guests and is organized as a free street fair. You will be able to see all kinds of different flags from various countries of Latin America, and of course, flags of Cuba. It also features all kinds of tasteful recipes to proudly represent various origins of numerous groups of people that inhabit Little Havana. And, naturally, Festival de la Calle Ocho features music that will make your day! For those seeking something more regular, every last Friday of a month you have Viernes Culturales. It consists of music stages, art exhibitions, food tasting at restaurants, guided tours of museums and galleries and many other cultural events. This is a great event for getting to know your new home just after moving to Little Havana. Education – Moving to Little Havana with kids? Find out where they can study! It has nine elementary schools, one of which is a private, St. Michael the Archangel Catholic School. You will find eight middle schools, with St. Michael the Archangel Catholic School again being available. Six high schools are available in Little Havana. If you get moving to Little Havana, you will provide your children with the opportunity to study at oldest Miami high school – Miami Senior High School. Of those six, four are charter schools and one is an all women preparatory academy. As for college, there is a study opportunity in Little Havana. Miami Dade Colledge. Founded in 1959, Miami Dade has more than 165,000 students. Its main campus is in downtown Miami, while Little Havana hosts InterAmerican Campus and operates all libraries in the neighborhood. Safety – is Little Havana, Miami, safe? Little Havana wasn’t always the safest place to be. The crime was on a rise in the late 20th country. However, it is important to point out that this is also true for places like New York at one point. And they are not considered dangerous now. So, has Little Havana changed? Yes. Places often visited by tourists are more likely to be home to some picketing and another petty crime of that sort. However, Little Havana as a whole is safe just as much as any other Miami neighborhood. There is no reason to avoid this neighborhood in fear of some kind of crime. However, feeling safe is a subjective thing. For those not acclimated to a somewhat loud culture that rules here, it can be intimidating. However, when it comes to moving, safety is not limited to the end location. It is also important to feel appreciated and treated with respect while on the move. To those wanting to feel safe while moving there are companies such as CCM. So, should you be moving to Little Havana? Do you love to try out new things, experience new culture, and music? Then meet this little piece of Latin America in the very heart of Florida. You will enjoy it. Of course, just because you want to move, doesn’t mean it will be easy, especially on a low budget. 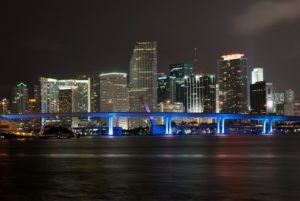 You should be familiar with tips on Miami low cost living to be sure that Little Havana is a place you want to move to.